You are here: Home / Cancer Causes / Sun Exposure: Cancer Cause or Part of the Solution? While dermatologists and sunscreen manufacturers have made it their mission to convince the world that sun exposure causes cancer, this is all a big lie. Sunlight is not the primary cause of skin cancer. In fact, sunlight actually prevents cancer! Considerable evidence shows that vitamin D (which is produced from the sun’s rays), is protective of many cancers. This includes the deadliest of skin cancers – melanoma. In addition to melanoma, there are at least 13 other cancers that seem to be positively affected by sunlight. Most notably are breast cancer, colon cancer, and ovarian cancer. While melanoma accounts for less than 2% of skin cancer cases, it can metastasize to other organs and become very aggressive. It is responsible for the majority of skin cancer deaths. However, researchers have found that that sunlight does not cause melanoma. Dr. Daniel Coit, surgical oncologist at Memorial Sloan Kettering Cancer Center (MSKCC), shared his research on melanoma at a 2012 MSKCC Health Education Seminar. 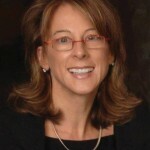 Dr Coit presented some startling evidence and cleared up important myths regarding melanoma. He surprised the audience when he said that most melanomas are not related to sun exposure, and therefore sunblock or avoiding sun exposure does not prevent melanoma. Dr. Coit explained how melanoma is directly related to family history and called it a disease of gene mutations. A British review done in 2002 also had some interesting findings. Overall the results provided no clear link between sunscreen use and the prevention of melanoma. While two studies did show a protective effect, three studies showed a negative association. Meaning there was a significant increase in malignant melanoma with sunscreen use. Dr. David Mitchell, PhD, professor at M.D. Anderson’s department of Carcinogenesis, found via a fish study that UVA does not cause melanoma and is not responsible for the rise in the incidence of melanoma over the past 30 years. On the contrary, countless studies have shown that sun exposure actually reduces the risk of skin and other cancers. How does sunlight reduce the risk of cancer? Vitamin D increases cell differentiation, suppresses growth signals, reduces cell proliferation, reduces the effect of IGF-1(insulin- like growth factors) on cancer progression, and inhibits angiogenesis (formation of new blood vessels in tumors). Therefore, it is more likely that low vitamin D levels account for the rise in skin cancer incidences. In fact, numerous studies show that low vitamin D status may actually contribute to the development of cancers of the skin, breast, colon, ovaries, and others. According to Dr. William B. Grant, PhD, epidemiologist and founder of Sunlight, Nutrition and Health Research Center, insufficient sun exposure will likely result in the deaths of over 50,000 Americans each year. In one of Dr. Grant’s studies he showed that mortality rates of 17 types of cancer were inversely correlated with vitamin D from sun exposure. The study also showed that vitamin D reduces the risk of melanoma. Another of his studies found that UVB reduces the risk of 16 types of cancer in the United States. A 2003 study published in the Journal of Investigative Dermatology showed that sun exposure had an inverse relationship to melanoma risk. Those who had been exposed to more sun during their lifetime had a reduced risk of melanoma. Research performed at the University of Leeds found that melanoma patients with the lowest vitamin D levels had the poorest prognoses. Conversely, melanoma patients who had high levels of sun exposure (and thus higher D levels) were less likely to die from the disease than those who stayed out of the sun. In a study of 3,000 individuals with non-Hodgkin’s Lymphoma, individuals who were exposed to UV rays lowered their risk of developing cancer by 30-40%. Two 2005 studies cited by the British Broadcasting Corporation (BBC) showed that sunlight was helpful in treating malignant melanoma. Patients with the most sun exposure were less likely to die than those who avoided the sun. Numerous other cancer experts have come to the same conclusion: Sun exposure is not to blame for the increase in skin cancer rates and is actually protective of many cancers. However, sunscreen could be part of the problem. 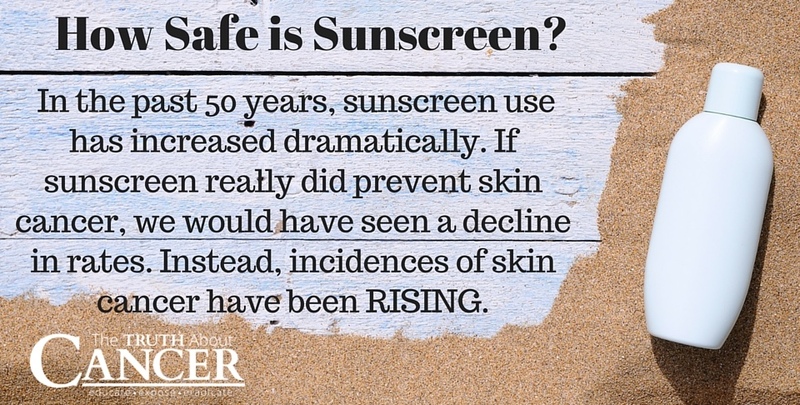 In the past 50 years, sunscreen use has increased dramatically. According to the CDC (U.S. Center for Disease Control), at least 61% of American adults protect themselves from the sun, and that this reflects a substantial increase over the years. Back in the early 1970s, sales of sunscreen were around $18 million. By some estimates, this has now grown to almost $400 million annually. Yet, clearly studies do not inclusively support the efficacy of sunscreen to prevent cancer, including melanoma. If you consider the studies mentioned, the occurrence of melanoma (and other cancers) has actually been found to decrease with greater sun exposure, and increased by sunscreens which block the production of vitamin D. If sunscreen really did prevent skin cancer, we would have seen a rapid decline in rates. Instead, incidences of skin cancer have been rising. This means that the dramatic endorsement for avoiding the sun and slathering on copious amounts of sunscreen may have made millions of dollars for sunscreen producers, but put millions of people at a greater risk for cancer. In addition to blocking vitamin D production, sunscreen also directly contributes to cancer. When people wear high-protection sunscreen, they tend to stay in the sun too long. By doing so they expose themselves to excessive radiation, and possibly sunburn or sun poisoning. It is claimed that too much ultraviolet (UV) radiation from the sun or sunbeds can damage DNA in skin cells. The effects of the sun’s rays advance through the action of the free radicals produced in the skin. If enough DNA damage builds up over time, it can cause cells to start growing out of control, which can lead to skin cancer. To further explain, sunburn is a painful immune response from UV radiation that creates inflammatory chemicals called cytokines. Through this process, damaged cells are removed and are replaced with healthy cells. While this might sound good, cytokines generate free radicals that can damage DNA, potentially causing mutations that lead to tumor initiation. And don’t overlook the added cancer risk from chemical sunscreens themselves. Chemicals found in many sunscreens are toxic endocrine disruptors and damage the heart and liver. Sunscreen soaks into the skin and enters the bloodstream. A single application can last for up to two days, and as it is absorbed through the skin it bypasses the liver for detoxification. Chemical sunscreens function by absorbing UV light. As a result, they form DNA-damaging free radicals. In a study done by the Norwegian Radiation Protection Authority, research showed that the reaction between Octyl methoxycinnamate (OMC) and sunlight was twice as toxic as the chemical on its own. OMC is present in 90% of sunscreen brands! A reasonable amount of sun exposure along with a healthy lifestyle can significantly decrease your risk of cancer. It is important to know that nutrient-deficient diets, smoking, excessive alcohol consumption, and obesity are believed to account for at least 50% of cancer-related deaths, including from melanoma. Genetics is closely linked to the ability to defend against UV damage and skin cancers. While we cannot change the genes we were born with, we can make lifestyle changes that positively affect gene expression. If you do tend to spend considerable time in the outdoors, consider protective clothing or use of mineral sunscreens. However, the best sunscreen is available in your kitchen. Consume a diet high in antioxidants such as vitamin C and E and eat plenty of chlorophyll-rich green vegetables. Fresh, raw vegetables and unprocessed foods provide the body with an abundance of powerful antioxidants and nutrients that will help you fight the free radicals and help prevent sunburn. Sunlight is not the primary cause of skin cancer. In fact, sunlight actually prevents cancer! There is considerable evidence that shows vitamin D (which is produced from the sun’s rays) is protective of many cancers − including melanoma. At a 2012 conference, Dr. Daniel Coit, surgical oncologist at Memorial Sloan Kettering Cancer Center (MSKCC), shared his startling research on melanoma: that melanoma is directly related to family history and that most melanomas are not related to sun exposure, and therefore sunblock or avoiding sun exposure does not prevent melanoma. Other studies have also shown that sun exposure does not cause melanoma, and that the use of sunscreen can actually increase the risk. Exposure to the sun facilitates the production of vitamin D. There are well over 800 published research papers showing the effectiveness of vitamin D to protect against cancer as well as to aid in its treatment. Chemicals found in many sunscreens are toxic endocrine disruptors and damage the heart and liver. 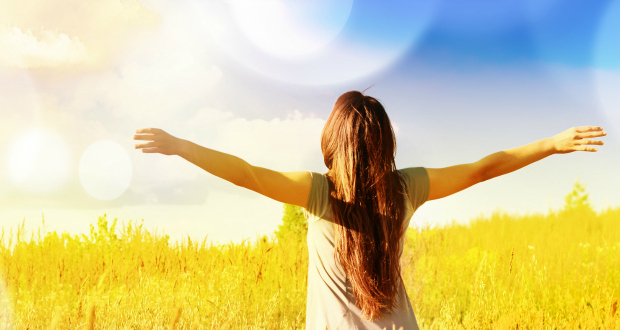 A reasonable amount of sun exposure along with a healthy lifestyle can significantly decrease your risk of cancer. If you do tend to spend considerable time outdoors, consider protective clothing or use of mineral sunscreens. Cutaneous malignant melanoma, sun exposure, and sunscreen use: epidemiological evidence. Rising trends in melanoma. An hypothesis concerning sunscreen effectiveness. The influence of painful sunburns and lifetime sun exposure on the risk of actinic keratoses, seborrheic warts, melanocytic nevi, atypical nevi, and skin cancer. I kinda wonder if Manuka honey would have effective results too? We have what’s been called a “donut” hold over parts of Australia too. That maybe why it gets so hot here. I love summer and I make sure to get out and sunbake for at least 3 hours most days, even in 40C (104F) heat. I could never do this up until 8 years ago because I’ve always burned so badly in the sun. Ignorantly I smothered myself in sunscreen all my life until I discovered that Organic Coconut Oil acted as a sunscreen and taking 8000mgs of Fish Oil also acts the same way. I haven’t burnt since I started using these. I go very very brown in Summer now with no burning and I can manage to keep my Vitamin D3 nice and high (offsetting of course with Vitamin K2 to prevent toxicity symptoms). As a stone mason, I have worked outside all my life, I have never exposed my skin to the sun, except my face and arms. In 2013 I was diagnosed with cancer of the urinary tract(bladder and prostate) but was related to being poisoned. My skin is totally healthy and I have never used sunscreen, I have friends in the trade who overexposed their skin to the sun on extremely hot summer days, used sunscreen and a few ended up in their late 50’s with skin cancers. I know of one that died fairly quickly. On hot summer days I covered up outside, or worked indoors.I love the winter sun here in the uk. You should never wear sunscreen, it is part of the pharmaceutical poisoning of mankind agenda. Drink Kangen Water, spray 6.0 PH on your skin before and after being in the sunshine. If you get burned, immediately spray 6.0 PH (and continue to spray) on your skin, it will take away the pain from the burn and will turn skin tan instead of turning red. Love that recipe. Thank A. How much witch hazel ratio. Dilute with water or straight and then add a few drops of carrot seed oil? I have been diagnosed with actinic keratosis on my face. I am told that this is a pre cancerous condition. The medics want to treat it with efudix cream which has a number of potential nasty side effects. Does anyone have experience of alternative non invasive treatments of this condition? The Bible says that when God made the sun, “and he saw that it was good”. Are we going to believe the Creator, who is Good, or man who deceives, lies and murders. I have basal cell pre cancer that was removed, can this spread to in the body itself or just affect the skin? is there a treatment or should I get a colonoscopy? How much sun is the right amount for a fair skinned person living in central Texas? I was recently diagnosed with a severe vitamin D deficiency despite being outside about 30 minutes or so a day. I’m fair skinned, have blonde hair and blue eyes, and tend to burn easily. I know it’s winter right now, so that probably impacts the time I need to spend outside due to less skin exposed and more cloud coverage. What’s a good amount for summer and winter here? We cannot recommend a specific amount of time to be in the sun. We would suggest speaking with a trusted professional about this. April – You might have a gene that inhibits vitamin d absorption (yes that gene does exist and you can get tested for it), or may even be allergic to vitamin d, which prevents proper absorption. I was allergic to it, until my NAET practitioner treated me for it. Now I can absorb it. I would Google NAET practitioners in your area. Mine here in Chicago has worked wonders for me, nothing short of a miracle.